Today I need all your attention. Something unforeseen happened: Google expresses itself personally on the subject of SEO and also gives tips and tricks. These tips and why User Intent has become one of the most important ranking factors are explained in this article. Search engine optimization is like searching for the Holy Grail. There are clues, but too few of them to solve the puzzle completely. This is largely due to Google, which has made its algorithm so complex over the years that nobody knows all the ranking factors except a few Google employees. Of course, we can’t expect Google to reveal anything. But all the jubilant years, when Easter falls on Christmas and karma is well-disposed towards us, a few hints from Google itself come to the topic. Of course, we want to share these with you. The employees of the search engine giant themselves work on more than 7,000 of their own websites and, of course, have to adhere to the conditions that Google dictates in order to appear as high up in the search as possible. Nevertheless, we can assume that Google employees can teach us a lot about SEO. All the better that they have now packed their experiences into three crisp tips and give us on the way. That may sound lapidary, but it’s proven. 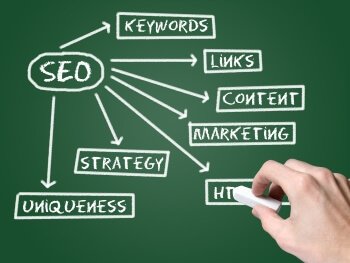 Focus on small, step-by-step changes to the overall SEO strategy of a website. The Google My Business marketing site, the site where you can sign up for Google My Business, saw an almost two-fold increase in SEO organic traffic as the team implemented a number of basic best practices on the web. This included setting Canonicals to show the search engine exactly which pages should be indexed. So start with the supposedly small and simple tasks. So you can already achieve great effects. By this Google means that you should not be afraid of changes. Sure, you can lose rankings at any change. If you do nothing, you will lose it sooner or later. Therefore, be courageous and move with the times. In the case of SEO, this means: concentrate on mobile and try out new tools like AMP or Progressive Web Apps. Over the past year, for example, Google employees have focused on fixing bugs in the Google Search Console, implementing structured data, and adding AMP to the Think with Google website. After fixing a common AMP error on a number of URLs, these impressions increased by 200%. In addition, overall content improvements have led to more frequent selection for selected excerpts, resulting in an additional 1,000 impressions per day. Build a large site, instead of many smaller similar sites that only confuse the user and the search engine: With this measure, the click-through rate was doubled and the organic traffic increased by 64%. Success speaks for itself. With these three tips from Google, we don’t want to leave you standing. This is now one of the most important ranking factors. Those who know what user intents are can also take appropriate measures to make use of the user intents. In the beginning, there is a visit in person. This is about searchers who are usually looking for a local shop on their smartphone. Google Maps integrations dominate the SERPs. While on the desktop you can often still see the beginning of the organic hits, on the mobile phone you can almost only see Google Maps. The search queries with keywords, where the user wants to go to a special, previously known target website, i.e. if you know Effectively and are not looking for a digital agency, but for Effective Online Marketing. This is about the searcher wanting to do something. Frequently buy, but sometimes also download, install or otherwise become active. Interesting: Google only displays paid advertising in the visible area of the smartphone. In addition to the classic AdWords ads, Google has become inventive: whether Google Shopping, app downloads, flight comparisons, credit information and much more – the different paid ad formats become more with each stock exchange quarter. If you don’t want to buy, you’re probably looking for information. Google calls this User Intent Know and Know Simple a variation of it. Question one falls into the category “Know” and usually answers such questions directly in the SERPs. The second question, on the other hand, needs to be considered in more detail. Therefore, SERP’s mainly contain links to websites that explain this. When doing SEO, especially in local projects and competitive cities like Denver, you gotta take this into account. With the intentions Visit-in-Person and Do we have to say: rather not. Visit-in-person is dominated by Google Maps integration. Organic rankings can only be found in the area below the box that is clearly less clicky. For the Do-Intention results plastered with advertisements, things tend to look even worse. Google will have to step up its monetization efforts here to generate growth. However, the situation is different with the search intention called “Know”. If you answer complex questions and topics with your content, it will still work organically in a few years. Also with the search intention website, the answer is clear. It is also well known that Google’s algorithm is in permanent development. Reason enough for us to take a closer look at this year’s developments. An exciting article has been published by SEJ, which in turn is based on studies by PowerSuite. 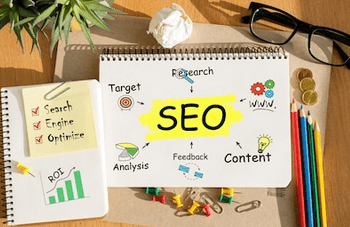 We have dealt with these factors and would like to present them to you in the following as well as point out optimization approaches, so that the way to the top of organic search results can succeed in the first place. Content is currently the top priority: For quite some time it has been one of the most important Google ranking factors. More and more content is created that sounds “natural” and is no longer so strongly focused on keywords. In fact, the SearchMetrics study shows that only 53% of the top 20 Google keyword queries are Title tagged and less than 40% of the corresponding landing pages have keywords in the H1 heading. The percentages will be even lower in the future. From this it can be concluded that Google judges a content on the website more than ever by its relevance and not by selected and frequently installed keywords. 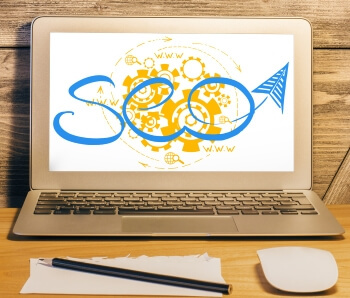 If a website appears as a featured box at the top of the SERPs, it provides on its landing page all necessary information for the the search query – often organized in tables or bullet points. In such a case, Google does not find more comprehensive information on the topic on any other page and gives the Featured Snippet in the organic search results to the best website. Backlinko can confirm this observation and speaks of a “semantic search” in the context. Algorithm updates such as Hummingbird and RankBrain focus on semantic relevance and optimization, which means that a clearly defined topic, comprehensibly and comprehensively prepared, is rated better than poorly formulated content with a high keyword density. The more context – i.e. the more detailed and comprehensive something is presented – the better Google will be able to classify the topic and recognize its relevance. Longer content therefore has more chances for better rankings? Possibly, because in a longer contribution a topic can be treated in detail and is brought with several information in relation. On the other hand, there are developments in mobile search: According to SearchMetrics, mobile content is on average 1/3 shorter than the content created for desktop use. A piquant aspect, since mobile content is also on the rise. Content affects other ranking factors such as bounce rate or CTR. To make it into the top rankings of organic Google search, you need comprehensive content that has maximum relevance for your target audience. A comprehensive treatment of the topic of “properly airing” probably makes little sense for your florist, but possibly information about proper watering or interesting facts about flower varieties. Enrich content: Delete meaningless text passages and supplement them with useful, additional information. Find focus: Don’t try to deal with everything at once. On each page, focus on only one or a few topics, but in detail. Backlinks will remain an important Google ranking factor. Over the years, Google has learned to distinguish between good and bad links. The pure number of backlinks therefore still has a strong effect on the search result, but only if they come from a high number of different domains with the corresponding authority in the respective subject areas. The key to a successful link building campaign is a content that is highly relevant for the target group and therefore highly likely to be recommended – shared. It is therefore about the shareability of a content. A backlink is additionally more valuable if it comes from a topic-relevant context and is stored with suitable anchor text. As soon as your content has these high-quality backlinks, you fulfill these three important ranking criteria: Number of backlinks, link authority and link diversity. Do not underestimate the social signals: SearchMetrics analyses have shown that the ranking position and the social signals correlate strongly across all social media channels (Facebook still has the most user interactions today and generates the most social signals). One of the biggest changes in the Google search algorithm was the switch to mobile first user indexing. Primarily mobile versions of websites are crawled. An optimized, mobile web presence is crucial for the ranking. According to SearchMetrics, all Top 100 domains have optimized pages. Responsive content for all mobile devices is therefore an absolute must – a suitable scaling of the content is essential for an optimal user experience. Of course, the contents must be identical in the mobile and desktop versions, different information Google evaluates accordingly differently and awards worse rankings in the search results. Currently, 85% of all pages indexed by Google meet these guidelines for mobile devices. So it’s finally time to think “Mobile First”! Another important ranking factor is the page speed, i.e. the time required to load your website. The maximum loading time is 3 seconds for desktop versions and 2 seconds for mobile versions.